Good afternoon everyone, this is Team Andre and we’re going to be showing you some of the best performing posts under the #agafacademy tag on the 2nd of March, 2019. My Weekly Kicks. (Passes for the controls). Andre Gray will deliver the most important components of formal football training to talented and passionate players of football all over the world using the STEEM blockchain. Watch the first drills & skills video uploaded by Andre. And then record a video of yourself performing the drill. Upload the video to either YouTube. Then visit the AGFacademy website again, log into the portal, and paste your video link. You can also use the portal to add text and other images to your post. You can also include a personal thank you message for Andre to read. 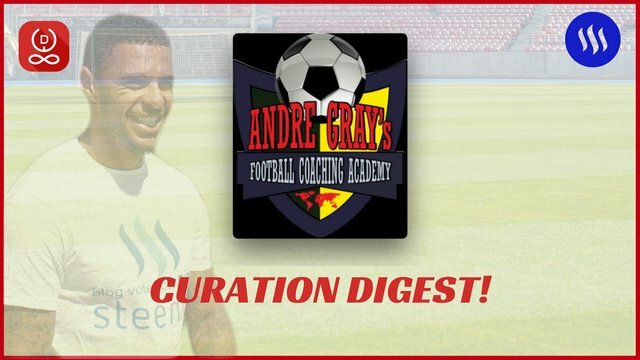 Ensure that you use the #agfacademy in order to qualify for upvotes from Andre. Do not upload the same video twice (Do not delete your videos after uploading them, this will help us track how much you have improved over time). All videos must be at least 2:30 minutes long excluding your introduction and message to Andre. You can also assist in increasing the number of beneficiaries by sharing the post on your social media accounts like Facebook, Twitter, Instagram and others. Open by stating that you are doing this for AGFacademy and close by thanking Andre personally. Record footage of yourself doing the drills in the instruction video (best if you get a friend to handle the camera for you). Add the AGFacademy logo to your video and blog. If your video is fun/interesting and of high quality, it will definitely receive an upvote from Andre Gray. The very best videos might even receive much larger upvotes also called the “Premiership Upvote” from Andre. The videos could also be re-shared on Andre’s own social media handles. 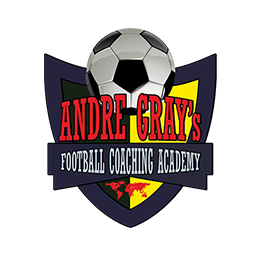 Thank you for reading, keep looking forward to more drill from Andre as we progress or kindly visit the links below to find out more about Andre Gray Football Academy. I upvoted your contribution because to my mind your post is at least 23 SBD worth and should receive 134 votes. It's now up to the lovely Steemit community to make this come true.